Luxury handbags, DVDs, computer software - all well-known targets of counterfeiters. But the UK is being flooded with other fake goods, including teabags. It's a crime that stabs at the heart of British society and costs billions. It might look like a real teabag. It will probably cost as much as a real teabag. But who knows what lurks within that flimsy fabric, waiting to unleash its witch's brew on an unsuspecting drinker whose only mistake is wanting a cuppa? Everyday goods that consumers assume would be genuine - after all, what self-respecting bad guy would go to the trouble of counterfeiting a box of washing powder? - are increasingly the target of crooks looking to make a quick profit. "That's one of the trends. It used to be that luxury goods were primarily the ones being attacked," says Ruth Orchard, the director-general of the Anti-Counterfeiting Group, a UK-based group that represents more than 200 manufacturers in 30 different countries. "It's now every consumer product you can think of: washing powder. Condoms. It's just unbelievable. And instead of undercutting on price, and being almost able to justify it - you know, 'We're doing a service to the consumer because we're offering them a cheap alternative' - they're charging about the same." High-price goods - think dodgy Louis Vuitton handbags or fake Burberry caps - have long been duplicated by those who want to make a quick buck by cashing in on the work that others have done. Certain streets in New York and Washington DC, for example, are well-known as places a wannabe fashionista can go for a Kate Spade purse that might only cost $20 instead of the hundreds of dollars the genuine article would fetch. But now, says Ms Orchard, counterfeiters are manufacturing everything from tea to vodka to children's sun cream - which while it may seem amusing, is a serious concern for businesses large and small. 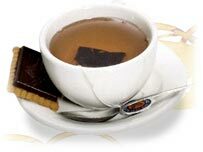 "We find it fascinating that there's actually a huge problem with fake teabags. Would you believe it?" she says. "It's an enormous problem, and I think it's pretty much a worldwide problem. "There are particular brands that are attacked in this way. They tend to be well-known teabag brands. And they're quite sophisticated, but they're fake. And they're sold at approximately the same price." 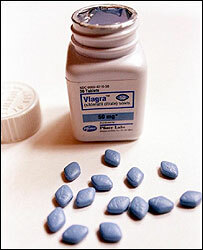 This week, the Trading Standards Institute marked World Anti-Counterfeiting Day with a news release that replica England football gear was being faked; shortly afterwards, drug giant Pfizer announced that it feared its best-known product - the anti-impotence drug Viagra - is being copied by counterfeiters and sold in the UK. A spokesman for Pfizer said: "In one case which came to light, one man in China was dealing in counterfeit Viagra, supplying over a quarter of a million pills a month. He had infiltrated about nine European and Middle Eastern countries and around 10 US states." The company says patients should get their drugs from their doctor. A consumer is much more likely to run into a counterfeit product at a market or car boot sale rather than at their local supermarket, Ms Orchard says. "All the reputable retailers are extremely careful about where they get their goods from," she says. "They have established supply lines. They know where they're getting things from - and of course they have their own brands. "What's more likely is one of those discount stores that opens up all of a sudden - they offer cheap loo rolls, all sorts of normal, everyday items, and they're really providing an outlet for all the fake goods that are coming through the supply chain from the big boys. Because it's big, organised criminals that are supplying all of this." On the global scale, counterfeiting is huge. The Global Congress on Combating Counterfeiting says fakes account for more than 6% of worldwide trade - and like Ms Orchard, they say it's an expanding area of business. "The ante has been upped, big time," she says. "It's in about the last five years or so that the volume of goods flooding the market has doubled - at least doubled - in terms of quantity and also in terms of range of the goods that are being faked." In addition to being annoying for the consumer and costly for business, counterfeit goods can also be extraordinarily dangerous. An investigation into faked Dettol is currently under way in the UK, and people in Britain have been hospitalised over counterfeit vodka, which was found to contain methanol. Counterfeiters often have links to organised crime and even terrorism, says Lavinia Carey, the chair of the Alliance Against Counterfeiting and Piracy. Her group believes crooks will search out what's popular - be it tea or a DVD - and exploit the work of legitimate businesses to line their own pockets. "They just go for the latest opportunity, what looks like the latest scam, to make themselves millions of pounds," she said. "If there's an opportunity in food, well, then they'll go for it."